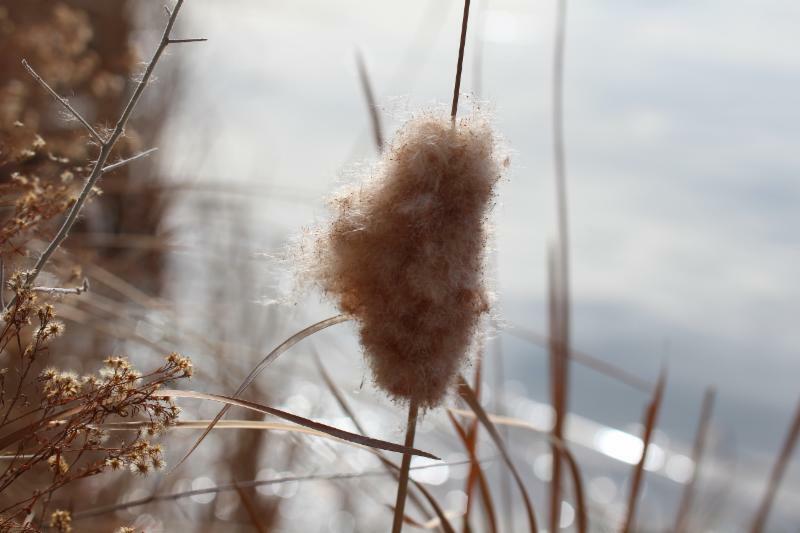 Seedheads like this Cattail (Typha sp.) 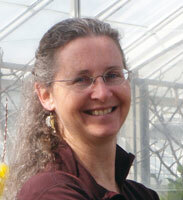 make plants beautiful in the winter as well as the summer! Well the weather outside hasn't exactly been frightful yet, but it's still less busy outside than it often is in the summer, and it gives us a chance to look back on the past year. We've had a wonderful year here at Toadshade, researching and propagating new plants for next year's catalogue, planning and planting gardens of our own, appreciating plant and wildlife interactions, and one of our favorite things: hearing from you. From one plant-lover to another, nothing is more satisfying to us than hearing about your new plantings, whether you've put in a rain garden, overseeded a meadow, or simply added to an existing garden. We love to hear about your gardens and your gardening experiences--we could hardly wish for a more wonderful group of plant lovers than you to interact with on a daily basis! We would like to thank you for a wonderful year of learning and gardening, and look forward to sharing many more with you! 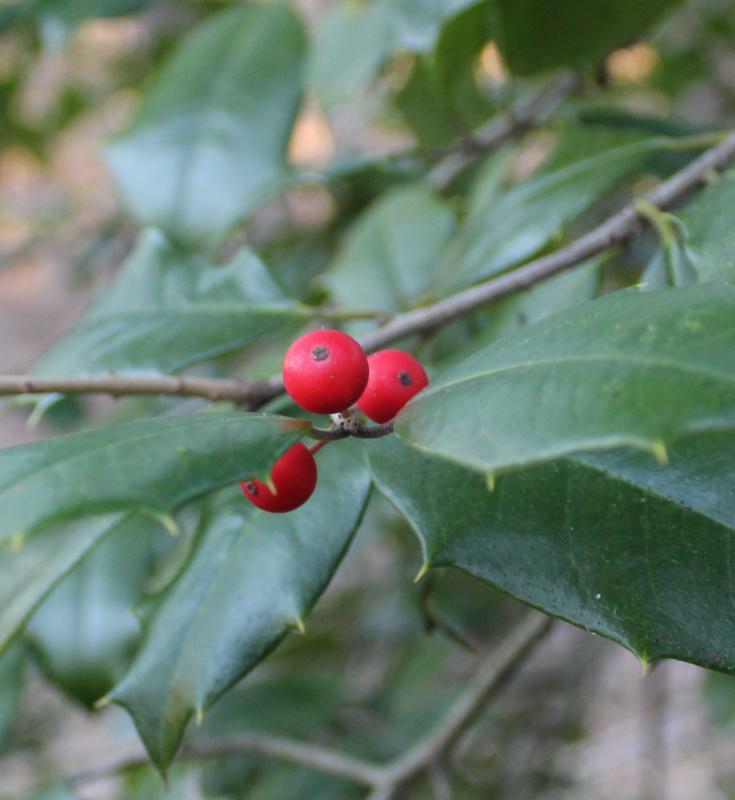 American Holly (Ilex opaca) berries at Toadshade. 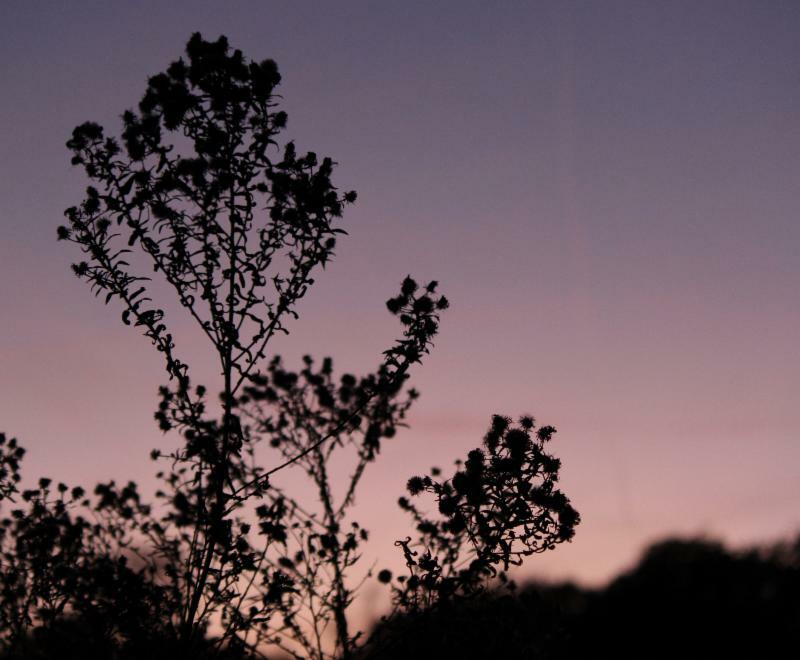 We often find that after a summer spent neck-deep in plants and nature, wintertime can seem... quiet. Of course as we discussed in last month's blog, there are plenty of important things happening during the winter--insects overwintering, plants preparing their reserves for spring growth, cold stratification of seeds--but most of them aren't things you can see, and with the shorter day length, it can be a challenge to feel like you're interacting with nature at all. So what's a gardener to do? 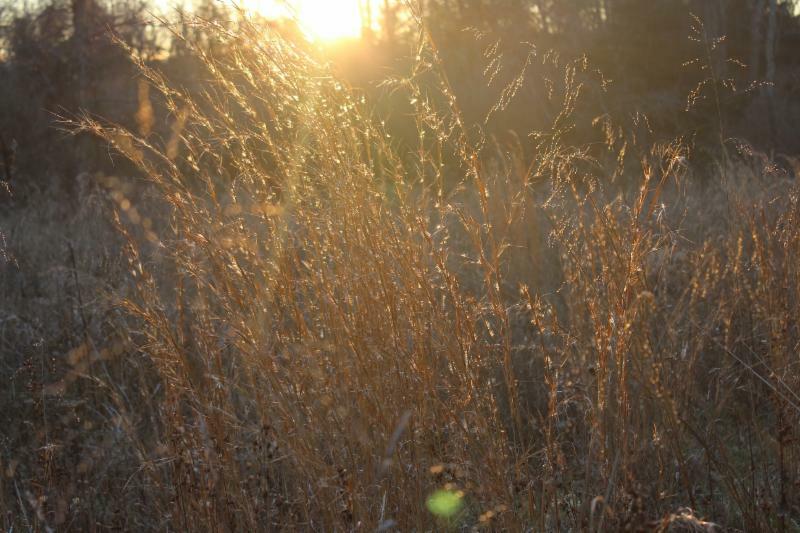 Broomsedge Bluestem (Andropogon virginicus) has a beautiful texture and color, and makes good shelter for wildlife. Something we at Toadshade like to do in the winter is to set up a wildlife tree. The Audubon Society offers a list of possibilities for creating a wildlife tree, along with advice on wildlife-friendly Christmas trees, but most of our favorite wildlife tree ideas are very simple! Of course, native plantings of trees and shrubs which bear fruit for wildlife do this naturally, but if you hang edible ornaments on a tree in your yard, you can bring color to your garden and attract birds and wildlife to enliven your backyard in the darkest months of the year. 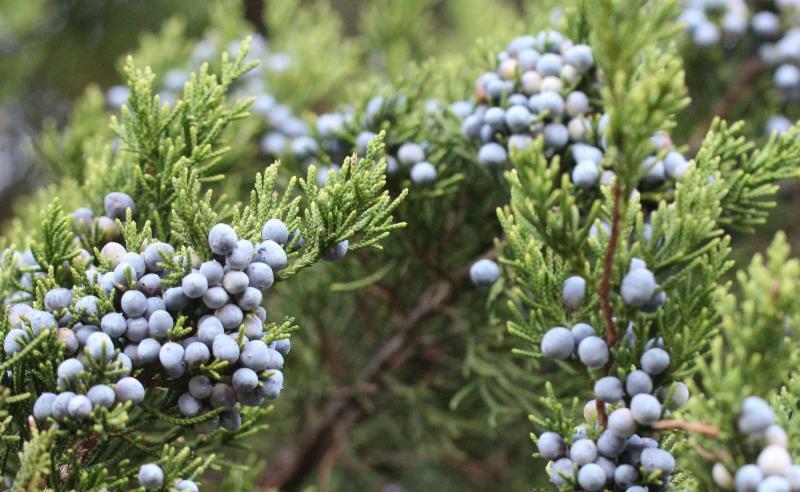 Eastern Redcedar (Juniperus virginiana) berries are a beautiful and important winter food source for many species of birds, including Cedar Waxwings (Bombycilla cedrorum) and Eastern Bluebirds (Sialia sialis). Pinecones rolled in peanut butter and birdseed/dried cranberries are always good, orange halves filled with suet, cornmeal and peanutbutter brushed onto treebark, and strings of cranberries (and if you choose, unsalted popcorn, although that tends to shatter when put on a string) make attractive ornaments that wildlife can use, and you can even tuck sprigs of ornamental wintertime plants such as Broomsedge Bluestem (Andropogon virginicus) in among the branches to create extra shelter and space for birds to perch while they enjoy your new wildlife tree. As a bonus, this is a great crafting activity to do with kids when family comes together for the holidays. You can do the ornament crafting outside on a warm day to minimize mess, but make sure you hang your ornaments on a tree you can see, so that everyone can enjoy the birds as much as the birds will enjoy the food! If the tree already has berries, or a birdfeeder hanging in it, so much the better; the birds will already associate that location with food, and will find your ornaments that much faster. Make sure to use biodegradeable means to hang your new ornaments, like cotton thread, and enjoy your yard's new visitors. Just because it's cold out, doesn't mean your yard can't be lively, and what better way to usher in the new year than by helping your local wildlife through the winter?